This volume of the International Review of Neurobiology was written to assist researchers without any previous experience with in situ hybridization, allowing them to follow the protocols and expect good results. It contains all the information required for newcomers to achieve successful in situ hybridization results, and methods for improving the technique of those already utilizing it. 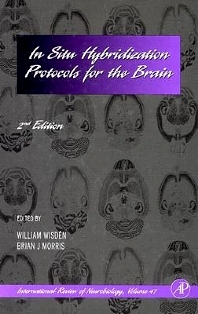 Published since 1959, International Review of Neurobiology is a well-known series appealing to neuroscientists, clinicians, psychologists, physiologists, and pharmacologists. Led by an internationally renowned editorial board, this important serial publishes both eclectic volumes made up of timely reviews and thematic volumes that focus on recent progress in a specific area of neurobiology research. Neurologists, pediatric neurologists, epileptologists, developmental neuroscientists, medical geneticists, and developmental biologists. MRC Laboratory of Molecular Biology, Cambridge, U.K.